Thanks to all those who attended the SOLD OUT Drapers Sustainable Fashion event. Fashion is one of the world’s most polluting industries. While it is starting to turn up the dial on its sustainability efforts, there is still a long way to go. Drapers Sustainable Fashion is our unmissable new event that will bring together the most sustainable brands and retailers, trailblazers and unicorns, disruptors, progressive thinkers and pioneers to discuss what we can do and why change is not optional. Brought to you by Drapers, the event is for fashion brands and retailers, clothes manufacturers, supply chain experts, innovators and anybody for whom sustainability matters. We are creating the programme of hard-hitting talks, projects showcasing sustainability in action, and start-up innovation that is pushing the boundaries of the possible. 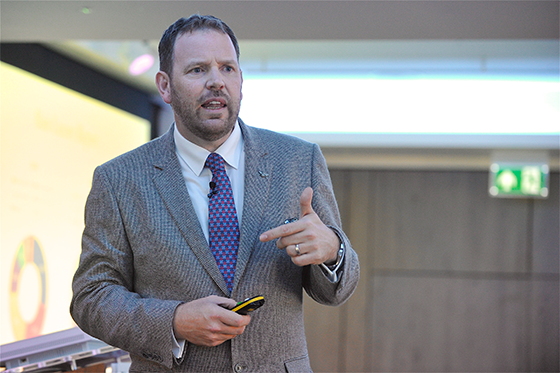 To join us at Drapers Sustainable Fashion 2020 and learn, exchange and network throughout the day, please contact Paul Stewart via paul.stewart@emap.com or 020 3953 2054. Change how you think about fashion with our great range of talks, interviews, panels and workshops. Get game changing new ideas from companies who are disrupting the fashion sector and working in new and exciting ways. Partnering with Drapers Sustainabile Fashion gives you a unique opportunity to get your business in front of fashion retailers and brands that are interested in becoming more sustainable. Be part of a conversation that that looks at what it takes to transition to a cleaner, greener future – and unlock the business potential of sustainable fashion. Hear from some of the most progressive fashion brands and retailers, leading not-for-profit bodies and sustainability champions from around the world. We have created a cutting-edge programme that will go to the heart of what it takes to change the image of fashion for good – whilst making a difference to your bottom line. The first half of the day will be dedicated to a series of keynotes – a combination of standalone talks, interviews and debates, which will be presented by world-leading retailers, brands and experts, who are pushing the sustainability agenda in fashion retail. They will focus on how to turn the fashion business into an ethical, environmentally friendly and profitable industry. The afternoon will be all about turning ideas into practice. From clothes made out of recycled bottles and mobile repair stations, to the next generation of laser and 3D technologies, we will showcase the projects and initiatives that are pushing the boundaries of sustainability. There will be two sets of showcases running concurrently on two specially configured stages with interactive elements and audience engagement. Six 15-minute showcases will take place on each stage. STAGE 1 will be about responsible innovation, where we will showcase the best sustainable materials – often made of the unexpected – and best re-engineering, recycling and processing techniques. STAGE 2 will be about responsible business and will showcase business models, supply chains, re-use and end-of-life, and new tools and initiatives – technological or otherwise – that are centred around sustainability. 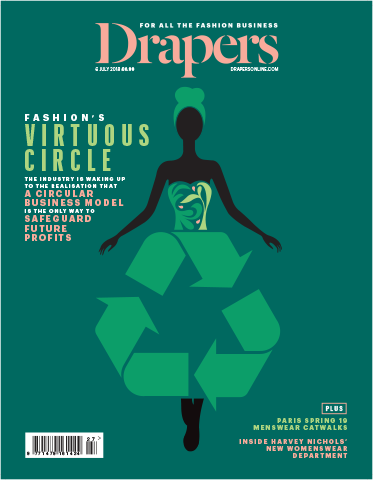 If you cannot wait until Drapers Sustainable Fashion, then read our special issue of Drapers with features focusing on eco-friendly fashion, or our sustainable fashion report, which was produced in association with reGain/Yellow Octopus. Contact Paul Stewart on 020 3953 2054 or paul.stewart@emap.com for more information.